In a confidential 2010 filing, Crossroads GPS — the dark money group that spent more than $70 million from anonymous donors on the 2012 election — told the Internal Revenue Service that its efforts would focus on public education, research and shaping legislation and policy. The group's application for recognition as a social welfare nonprofit acknowledged that it would spend money to influence elections, but said "any such activity will be limited in amount, and will not constitute the organization's primary purpose." 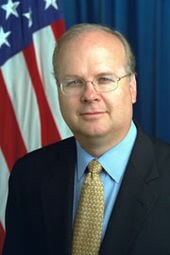 Political insiders and campaign-finance watchdogs have long questioned how Crossroads, the brainchild of GOP strategist Karl Rove, had characterized its intentions to the IRS. Now, for the first time, ProPublica has obtained the group's application for recognition of tax-exempt status, filed in September 2010. The IRS has not yet recognized Crossroads GPS as exempt, causing some tax experts to speculate that the agency is giving the application extra scrutiny. If Crossroads GPS is ultimately not recognized, it could be forced to reveal the identities of its donors. This seems at odds with much of what the group has done since filing the application, experts said. Within two months of filing its application, Crossroads spent about $15.5 million on ads telling people to vote against Democrats or for Republicans in the 2010 midterm elections. "That statement of proposed activities does not seem to align with what they actually did, which was to raise and spend hundreds of millions to influence candidate elections," said Paul S. Ryan, senior counsel for the Campaign Legal Center, who reviewed the group's application at ProPublica's request. Officials with Crossroads GPS would not answer specific questions about the material in the application or whether the IRS had sent a response to it. "As far as we know, the Crossroads application is still pending, in which case it seems that either you obtained whatever document you have illegally, or that it has been approved," Jonathan Collegio, the group's spokesman, said in an email. In an email Thursday, an IRS spokeswoman said the agency had no record of an approved application for Crossroads GPS, meaning that the group's application was still in limbo. "It has come to our attention that you are in receipt of application materials of organizations that have not been recognized by the IRS as tax-exempt," wrote the spokeswoman, Michelle Eldridge. She cited a law saying that publishing unauthorized returns or return information was a felony punishable by a fine of up to $5,000 and imprisonment of up to five years, or both. The IRS would not comment further on the Crossroads application.